So you forgot your password or your domain name. It happens to everyone! Here's how to fix it. 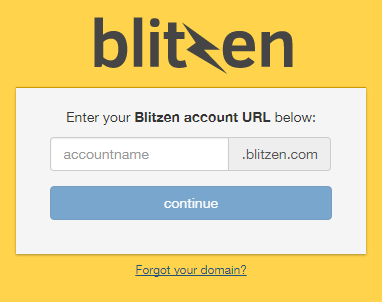 Go to the Blitzen login page and click 'Forgot your domain' below the continue button. You will be asked to provide the email address associated with this account and the details of your domain will be sent to you shortly. 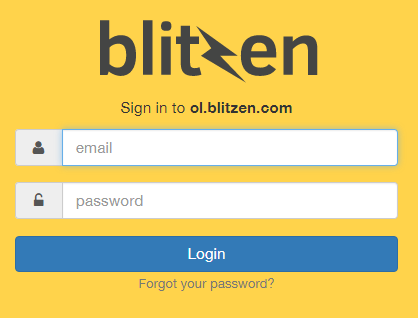 Go to the Blitzen login page (as seen above) and type in your account name. Click 'Forgot your password' and type in the email associated with your account. An email with instructions on resetting your password will be sent to you shortly. If you are not seeing an email after ten or so minutes do not panic.